Thousand of fans, both young and old, made their way to the Scarborough open air theatre last night. Making their pilgrimage see Olly Murs perform one of the shows from his summer 2017 tour. A family friendly environment set under a glorious summer evenings sky. 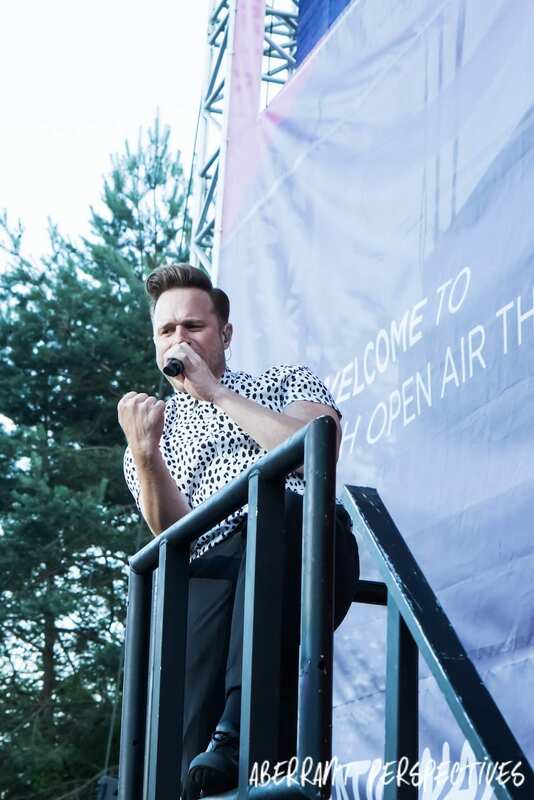 Scarborough open air theatre provided the perfect arena for fans to become engulfed in the fun, cheeky and charisma filled show that only Olly Murs can perform. Right from the beginning, Olly proved that he is a master in the art of crowd pleasing entertainment. Making sure anyone who was visible to him got a wave, a wink or a flash of his captivating smile, regardless of wether they were on the front row or at the back. He made sure everyone had the time of their lives, even if they were the plus one. 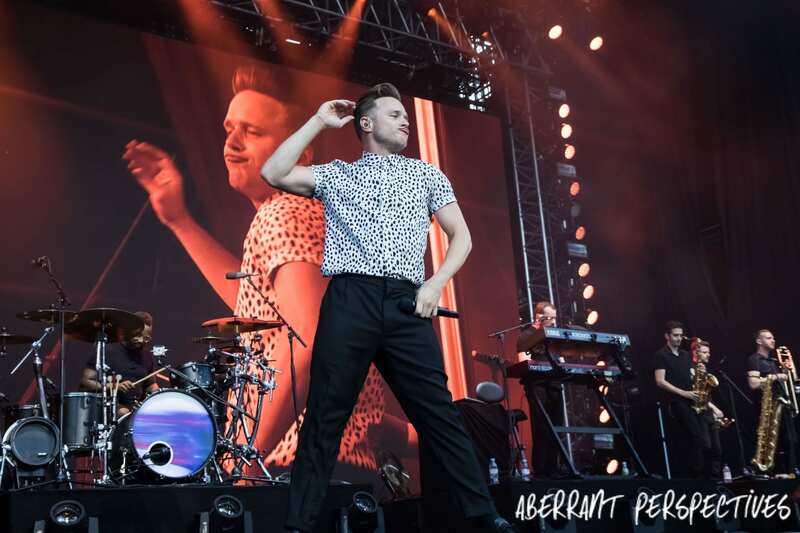 Olly Murs danced and sang his way into our lives eight years ago, he thought he’d “have a go at the X Factor” because he “had nothing to lose”. A decision he made due to wanting to change not only his job, as a call centre advisor. But also the lives of his family. Since being the runner up Olly has defied the X Factor curse. His career has got from strength to strength. Backed by his loyal and ever growing fan’s, endearingly nick named the ‘Murs Army’. With four consecutive UK number one albums, four number one singles, eight top ten hits, millions of sales world wide. 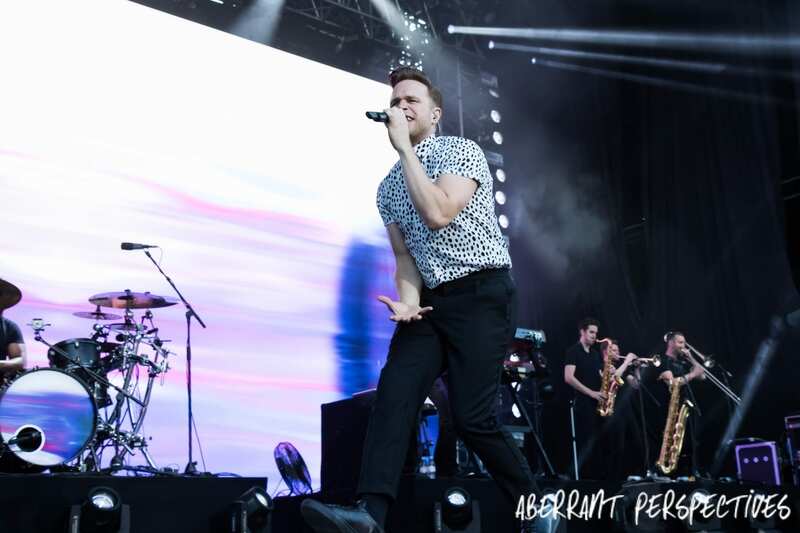 Olly has charmed his way into thousands of hearts and worked hard for the success he has achieved so far. 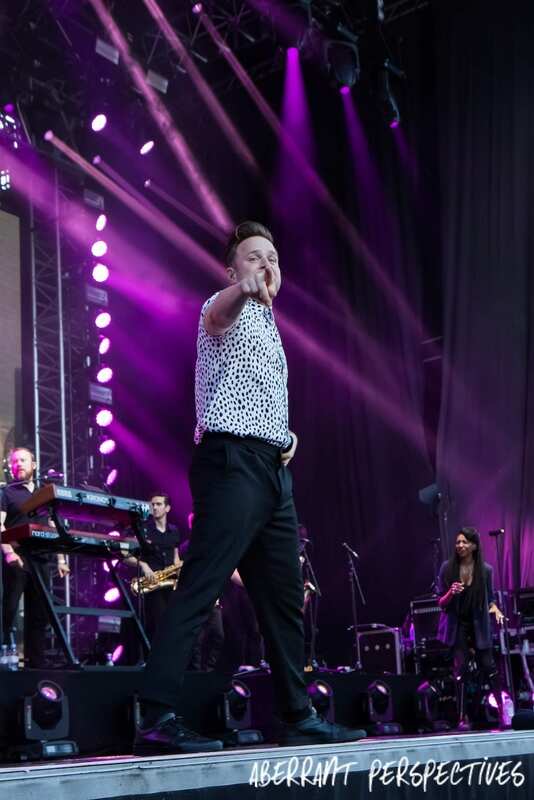 During last nights show, Olly made a point of thanking the audience for the last eight years. “Without you guys, the fans this wouldn’t be possible, you picked up the phone to vote for me during the X Factor. You changed my life forever. I’ll be eternally grateful to you”. His 2017 summer tour is jam packed with hits, much to the delight of the fans at Scarborough open air theatre. 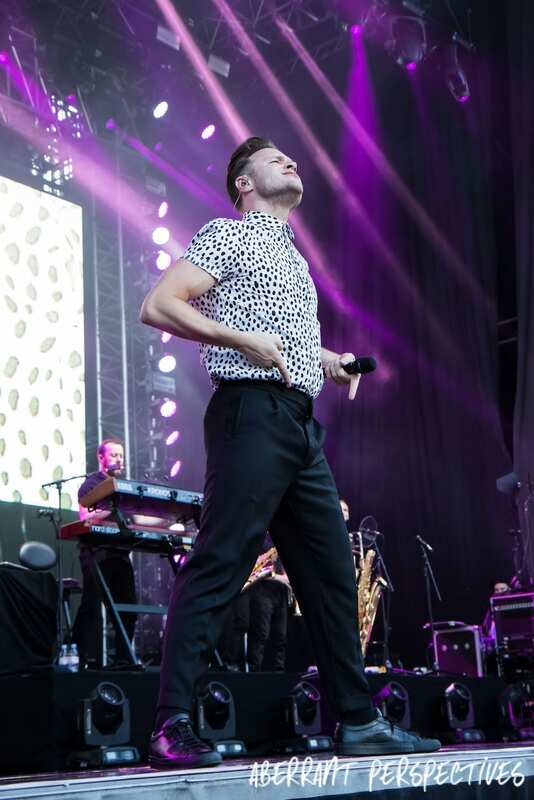 Crowd pleasers such as ‘Trouble Maker’, ‘Kiss Me’ and ‘Dance With Me Tonight’ gave Olly the platform to drive his older fans wild with his cheeky winks, flirtatious behaviour and at points naughty dance moves. His performance was received with screams from the ladies that mirrored the frenzy of the Take That era. 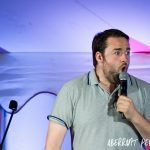 Whilst throughout the show Olly maintained his conscious level of responsibility to the younger audience members. Providing them with waving, blowing kisses and keeping his performance family friendly. 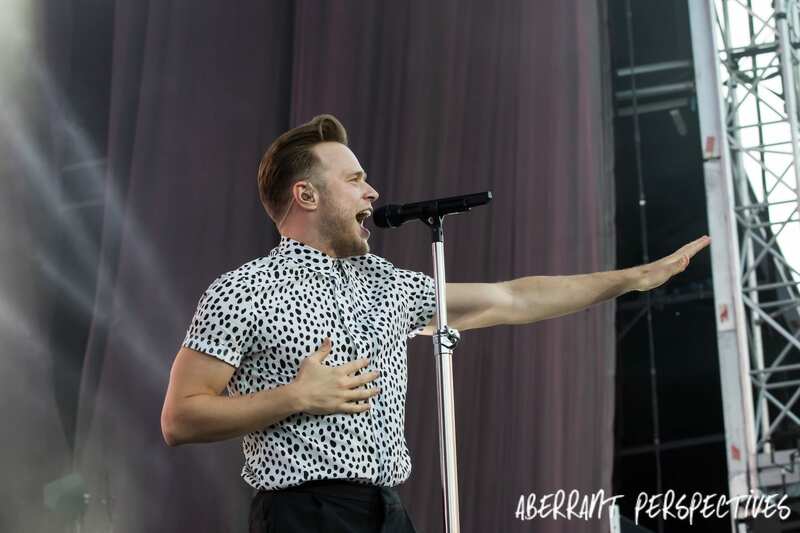 Olly’s set list at Scarborough open air theatre was filled with everything a fan would want. His upbeat, dance inspiring and fun hits from across his eight year career, were received well by fans at the show last night. Included in the set was the expected occasional slow song. Curiously though, he chose the slow songs he has that pull on the heart strings of anyone thats ever been in love. Self confessional songs such as ‘Dear Darling’ and ‘I need you now’. Both with the same emotional impact that films such as the note book inflict. With poignantly vulnerable, open and honest lyrics both written and performed beautifully by Olly. Songs that he admitted that his now ex girlfriend, didn’t enjoy him singing to adoring audiences. 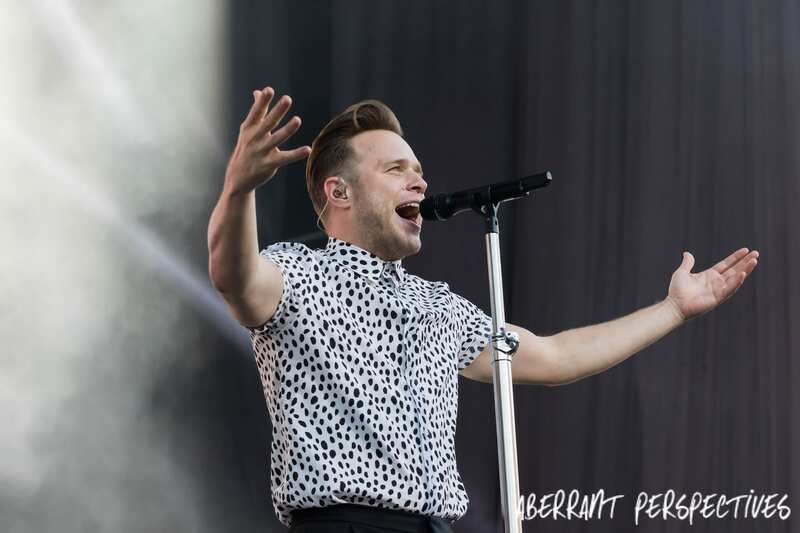 Throughout the evening delighted fans danced and sang their hearts out and Olly reciprocated. He put on a flirty, fun filled, memorable show. He endeavoured to individually include everyone lucky enough to have got a ticket, to this near sell out show at Scarborough open air theatre. 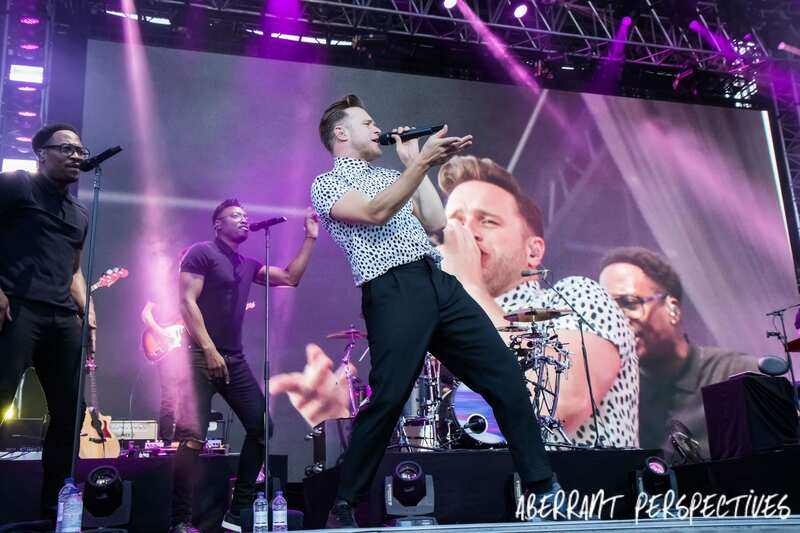 Olly Murs Scarborough Open Air Theatre Review.